Don't fret: we've got lots of samples for you. SampleRadar certainly likes its full-on electronic productions, but sometimes, all it wants to do is pull up a stool and have a play on its collection of acoustic guitars. Hence this week's collection, which features loops recorded on a Takemine EAN45CX six string acoustic guitar, Yamaha FG-412-12 twelve string acoustic guitar and Terada six string (nylon) classical guitar. The samples are split into two tempo-labelled folders: 85 and 120bpm. These contain mixes of several guitars, effected loops and single instrument loops. 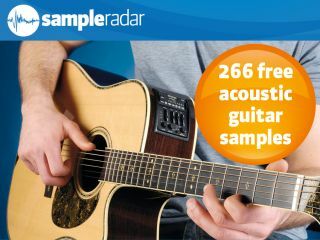 The acoustic guitar samples are supplied in a zip file, so you'll need to extract them before you can see them. Enjoy!